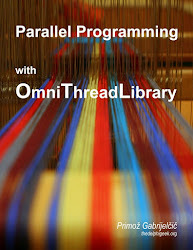 A new chapter (59 pages) on low-level multithreading has been added to the Parallel Programming with OmniThreadLibrary book. The book now has 264 pages. Only one large part is now missing – a chapter on various supporting data structures (TOmniValue, Environment hierarchy …) and units (OtlHooks). 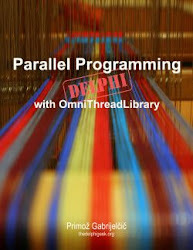 I will write it next, then I’ll close up with the Introduction to MultiThreading. If you have already bought the book, you should have received an email notification with download link by now. In case it got lost, please go to http://leanpub.com, log in and go to your Dashboard where you’ll be able to download the book. If you want to buy the book, just click here. You’ll be taken to the public page for the book where you’ll also be able to download the sample PDF, which has now two new sections – an introductory part on low-level OTL programming and a section on lock-free collections.